We are outwardly liberal and proud of it, and it is merely a coincidence that such an approach results in more Facebook shares and Twitter retweets. But if there is one thing that makes us foam at the mouth and consider joining UKIP, it is the idea that people who encourage others to chop people’s heads off can’t be deported because of their ‘human rights’. Shouldn’t the right to have your head attached to the rest of your body be more important? A Mr Baghdad Meziane was jailed for 11 years in 2003 for running a terror support network and he was released in 2009 (it appears addition is not the prison authorities strong suit). He helped people involved in the Paris terrorist attacks. 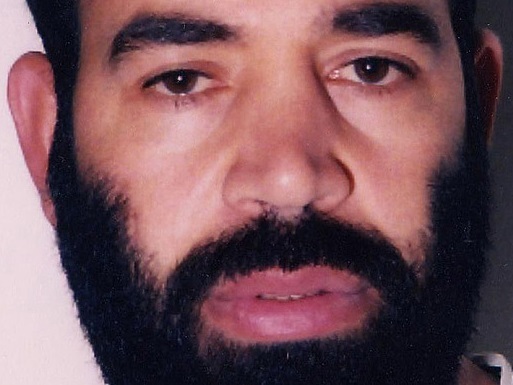 But since 2009, Mr Meziane has successfully staved off Home Office attempts to deport him relying on his right to have a family life (unfortunately for the human race he has bred), and his right to be free from torture if returned to his native Algeria (isn’t that a reason to deport Mr Meziane to Algeria?). We are not saying that the Human Rights Act should be scrapped, as advocated by Tory Justice Secretary Chris Grayling. Politicising the issue as ‘Labour’s Human Rights Act’ is just silly, and nasty, and Tory, and even in rant mode, we don’t want to be ‘silly, nasty, and Tory’, or it’s abbreviation ‘Tory’. But couldn’t we just give the right to have your head attached to the rest of your body just a teeny weeny little bit more precedence (and while we are at it, the right to be free from extremist massacres, and the right to not be thrown off buildings just because you are gay)? As far as we can tell, it is quite impossible to enjoy your right to a family life or your right to practice your religion when your head has been cut off. A removed head also makes it difficult to exercise your right to vote and your right to education. So Mr Meziane has a right to have a family life with his two children – what does this mean in practice? If the two children find it abhorrent that their dad encourages terror and mass murder, then just perhaps they will be quite keen that their nutter dad is deported to Algeria, especially if they get to keep the iPad and Xbox. If the two children in some way agree with dad’s views, then moving him on to Algeria before he can do more damage is again an excellent idea. Every right potentially has its limits, and the right to have your head attached to the rest of your body is no different. We are prepared to make an exception to the right to have your head attached to Mr Meziane himself, to mass-murdering extremists of all kinds, to people who park in disabled bays when they are not disabled, Jeremy Clarkson, whoever invented car alarms and self-service checkouts, Katie Hopkins (would it make a difference? ), and people who start getting on the train before others have got off.